No one could have taught you more about starting a company than Steve Jobs, and I had the privilege and honor of working for him in the Macintosh division of Apple. Over the course of several years, and then watching him for another two decades, these are the five most important things that I learned about startups from him. 1. People cannot tell you what they need. They can tell you what they want, and it’s usually along the lines of a better, faster and cheaper status quo. For example, in the 1980s, Apple’s customers wanted a better, faster and cheaper Apple II. No one asked for a Macintosh. Truly successful entrepreneurs create what people cannot articulate. 2. Experts cannot tell you what to do. Experts are good at telling you what’s wrong with the current state of the art. They cannot tell you how to fix what’s wrong, nor, like customers, tell you how to leapfrog the current leaders. 3. The action is on the next curve. In the 1830s, ice harvesters were wiped out by ice factories. In the 1850s, ice factories were wiped out by refrigerator companies. Duking it out on the current curve can work, but true innovation and entrepreneurship occurs when you get to the next curve or create a new one. It might not matter to everyone, but design matters to enough people to make a startup successful. Simple functionality isn’t enough anymore. Now your product or service has to do the job in an elegant and pleasing way. Steve Jobs and Apple have raised people’s expectations forever. 5. Value is not the same thing as price. Price is a number printed on a list. Value is the totality of the costs and benefits of a product. Something with a higher price can have a better value because it reduces costs, such as training, and produces better results. Don’t focus on price — focus on providing and communicating value. One more thing: Steve Jobs taught me that some things need to be believed to be seen. Skeptics refuse to believe in something until they see it. If you want to be an entrepreneur, you have to believe in your idea. 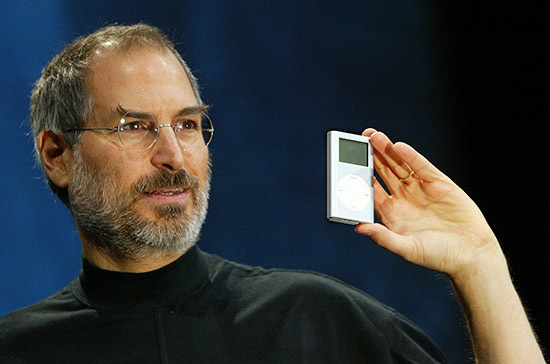 This is why Steve Jobs changed the world while most people waited for the world to change. This piece was originally published on Entrepreneur.